The unique style and construction method of a commercial building’s roof, like warehouses, office buildings, and manufacturing facilities, requires the use of different roofing materials and techniques. Commercial roofing in Ohio also requires specific materials and experience. The professionals at Meister Roofing understand these unique challenges and bring a myriad of commercial roofing experience to bear on your project. 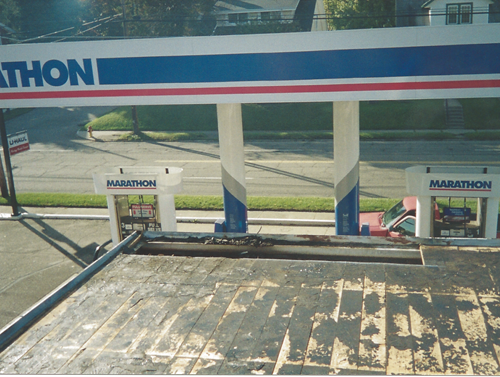 Our years of experience with flat roofs, rubber roofs, steep pitches, and other commercial roofing structures allows us to advise you on the proper methods for repairing or replacing your commercial roof. That same experience ensures that when completed, your roofing solution holds up to the rigors of Ohio weather providing you with years of protection. We specialize in small to medium commercial roofing projects in Ohio, a focus that allows us to best understand and achieve your goals.